Will the focus in the Delhi parliamentary elections be on local issues? The BJP will try to concentrate on national issues as the Delhi government has been successful in dealing with local issues. Good governance and development have brought us back to power and the BJP cannot criticise us on these. However, one cannot draw such a clear dividing line between local and general issues. If there is a bad summer it could become an issue. The only national issue that the BJP seems to have is that Sonia Gandhi is a foreigner. When she is standing for elections and when the Constitution does not bar her from contesting, why is the BJP harping on her foreign origin? What is the Congress(I) strategy to counter the NDA government’s `feel good factor’ and `India Shining’ campaign? The Congress has released a booklet countering the claims of the NDA government. The question we should be asking is, is India shining or India wondering? Where is India shining for a vast majority of the people? Look at the plight of industry, labour, artisans, farmers and weavers and at the state of employment in the country. What is the Congress(I)’s position on privatisation? We believe that loss-making units should be sold off to people who are willing to buy, but we are not for a blanket policy of privatisation. Look at the way profit-making enterprises such as BALCO and Centaur Hotel have been sold off. The government cannot absolve itself of its responsibility in areas such as health, but on the other hand to decrease the pressure on government services, those who can afford to must be made to pay and to that extent privatisation should be encouraged. 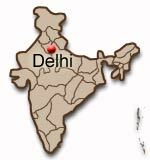 Will full statehood for Delhi and the legalisation of unauthorised colonies be a big issue in these elections? The people of Delhi were made to believe that the BJP was working for full statehood while it actually went through the motions merely as an election ploy. This is similar to the BJP’s policies, which are misguided and defective, for unauthorised colonies. It becomes so costly for the owners of unauthorised colonies that it will be a lifetime before they can pay the market rate or penalty or fulfil the required procedures before they can get regular water or power supply. It is typical of the BJP to make a promise that it has no intention of fulfilling. Is there a Congress(I) policy to deny the ticket to persons who were involved in the anti-Sikh riots in 1984? in Frontline, volume 21, Issue 07, March 27 - April 09, 2004. "Congress to launch big campaign"